Magical Michael Meehan fired Galway into a Bank of Ireland Connacht senior football championship semi-final as he scored 0-11 to lead his side to a 0-19 to 1-12 win over a wasteful Sligo in Salthill. This rescheduled game was not lacking in quality but the Caltra forward outshone everyone on the Pearse Stadium sward as he scored 0-11 (5f), continuing his electric National League form. Watched by an attendance of 7,153, the Tribesmen set up a last-four clash with Roscommon with an all-round efficient display. Showing one change to the side selected for the postponed game, with former captain Padraic Joyce coming in for Joe Bergin, Galway began the brighter with the 21-year-old Meehan firing over from a variety of angles. 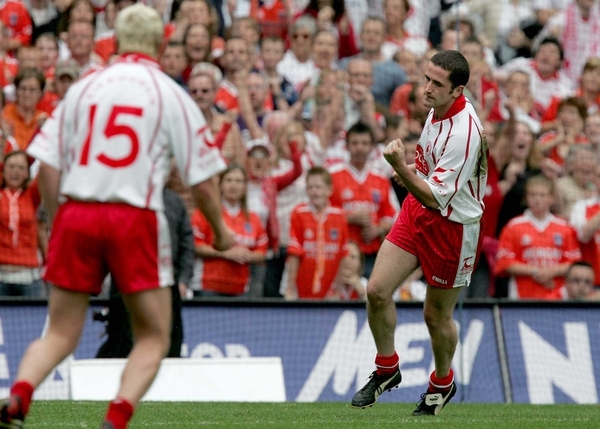 Although Sligo's Eamonn O'Hara, back after having his knee reconstructed, was having an influence with some superb fielding. Meehan bagged seven points in the first half with new captain Michael Donnellan and the nippy Derek Savage, who switched back from the full-forward line to the forty, putting in notable contributions. Galway's 0-13 to 0-05 lead at the interval was a flattering one however. Sligo, without a championship win over their neighbours since 1975 - the year of their last Connacht title win, missed two glaring goal chances. In all, Sligo hit seven wides, a tally equalled by the hosts. Sligo's goal misses saw teenage corner forward David Kelly, who was making his SFC debut, screw wide and Paul McGovern also struck the crossbar having come up from centre back. A good start to the second half was key to Sligo's challenge and a couple of Mark Breheny drives saw the Yeats men reduce the gap. With time running out, they were awarded a 70th-minute penalty which substitute Paul Taylor dispatched to cut the deficit to 1-12 to 0-18. But Galway still had the gas to respond with substitute Bergin arrowing over an effort in injury time to see them through. 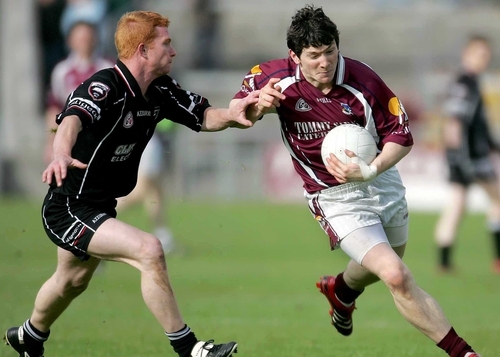 Galway: A Keane; K Fitzgerald, F Hanley, D Meehan; A Burke, D Blake, M Comer; P Clancy, P Geraghty; N Coleman, M Donnellan (capt), P Joyce; D Savage, M Meehan, S Armstrong. Sligo: P Greene; R Donovan, N McGuire (capt), C Harrison; J Davey, P McGovern, P Doohan; S Daly, B Egan; E O’Hara, B Cullen, A Marren; D Kelly, M Breheny, K Sweeney.